When working to get healthier, nutritional testing can assist Dallas-Fort Worth Metroplex area patients achieve their goals by providing important information about their nutritional well being. 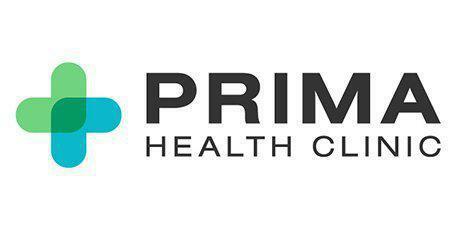 Patients can visit the Prima Health Clinic for help at their Garland, TX location. Why is Nutritional Testing Helpful? What is the SpectraCell Test? Micronutrient testing evaluates how well micronutrients are truly working within a person’s white blood cells. These tests can be used to provide nutritional assessments for several clinical conditions, overall wellness, and preventing the progression of chronic diseases such as cardiovascular disease, diabetes, arthritis, cancer, immunological disorders, and metabolic disorders. What is a Medically Supervised Diet? Medically supervised diets are programs created by a doctor to assist patients with losing weight with an overall goal of becoming healthier. Treatment usually takes place in a clinical environment, with one of the medical doctors or another medical professional. The doctors can also employ Ortho Molecular Products which can help patients detox and provide nutritional supplements for a balanced diet. Though it can seem pretty obvious, sustaining a healthy diet and exercising on a regular basis are truly the best ways to shed excess weight. Patients can develop great diet and exercise habits which can keep them healthy for a long time following the completion of the weight loss program. It is also important to attend every follow-up appointment scheduled. It is suggested that patients follow up with the doctor at least every 3 to 4 weeks until the weight loss goals set in the beginning are achieved. Why choose Ortho Molecular Products for your nutritional supplements? In today’s news, it is far too common to hear about nutritional supplements in the market that are unregulated and ineffective. In a recent 2013 study of Vitamin D in the prestigious Journal of the American Medical Association, researchers who tested vitamin D pills sold in stores found they contained anywhere from 9% to 146% of the doses listed on their labels. Although none of the pills was likely to be dangerous (in this case), many contained too little of the vitamin to effectively treat someone with a deficiency. Dr. Nguyen, therefore, recommends a professional-grade line of nutraceuticals from Ortho Molecular to support patients with deficiencies in vitamins and minerals. These nutraceuticals are offered exclusively through licensed health care providers and are not available in retail stores. Learn about our recommended nutritional supplements.